What is myBURGERbox and how does it work? myBURGERbox is a monthly gourmet burger recipe kit service. 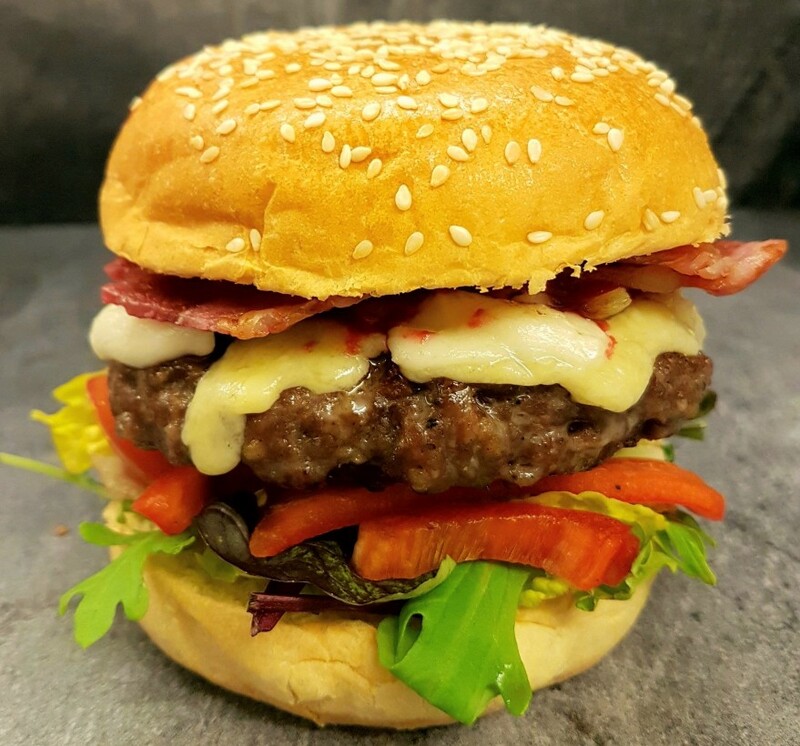 We deliver 13 items each month to help you create a gourmet burger in the comfort of your own home. As well as the burger, you will also receive a variety of snacks to help create a taste sensation. We focus on local produce and quality ingredients from exclusively sourced UK companies. You can choose a box for one or two people. We offer a monthly subscription or one-off box purchases. We also have myGIFTbox options for the perfect gift for loved ones. You will need to give three months notice to cancel any subscription. You will not be charged a monthly subscription for one-off box purchases. What are your Delivery Dates? Your burger box will be shipped on a Thursday to arrive on the Friday, ready to enjoy over the weekend. Some boxes maybe arrive on the Saturday, depending on Royal Mail. An email reminder will be sent when your box has been shipped. No. The delivery charge (£5.50) is included in the price. FREE delivery to the UK. At present, we can only accept orders from the UK. You will receive and email confirmation of your order including any additional requests. What if I'm out when my box is delivered? If you’re not at home, we have stickers on the box that requests the boxes to be left either in a safe place or with your neighbour. It may be worth leaving Royal Mail a note indicating your ‘safe place’. Unfortunately we have no control over whether Royal Mail leave your delivery out for you. myBURGERbox cannot accept any responsibility for deliveries that go missing after dispatch or where Royal Mail leaves an undelivered parcel card and these aren’t collected. Do I have to eat my burger as soon as it arrives? No, although you may want to. We use chilled packaging, which will keep your goods at the right temperature for up to 48 hours. When you unpack your box, simply refrigerate as normal. For best results consume with 24 hours and condiments should be shaken before use. Can I purchase myBURGERbox as a gift? Yes. What a fantastic idea! You can buy a Gift Box on our Shop page & your voucher will be emailed to you. Just print it off or forward to the lucky recipient. The recipient can either redeem their voucher at checkout or email us. Alternatively, you can order myBURGERbox & we’ll send it to them, as a surprise. Please comment in notes at checkout if it is a surprise and/or gift. Although we try to cater to everyone, unfortunately this is not always possible. At present we are not able to consistently provide Gluten-free products, however these will be clearly labelled when included. Please share with us any British products which you recommend. Drop us a tweet or email to tell us what you’d like and hopefully we’ll see you soon! If you have a special request, please get in touch in the comments section on the checkout page or email us.